One night several years ago Luz Celia Lienqueo Castillo had a peuma…a type of dream the Mapuche believe is not just a vision but a type of premonition that must come true. 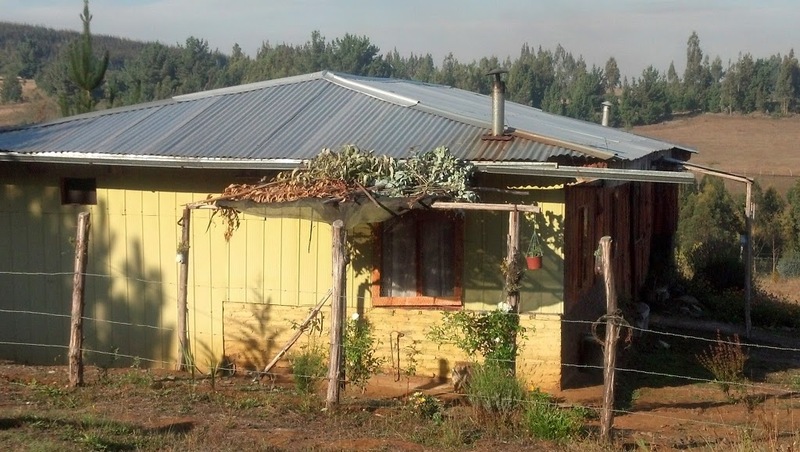 Luz’s peuma described in great detail the small piece of land she was to obtain and develop into her home on the road between Chol Chol and Nueva Imperial, in the Araucanía region of Chile about 700 kilometers south of Santiago and a bit west of Temuco. 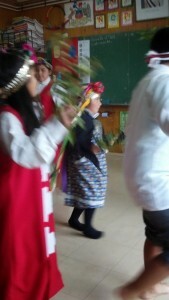 As you can tell by her full name, Luz is part Mapuche and part huinca(non-Mapuche). 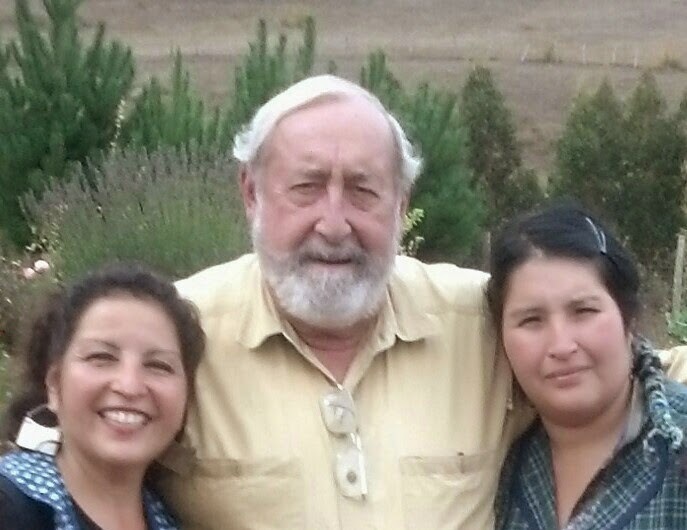 Luz’s father, originally from Nueva Imperial, found work and a wife in Valdivia where they had six children. 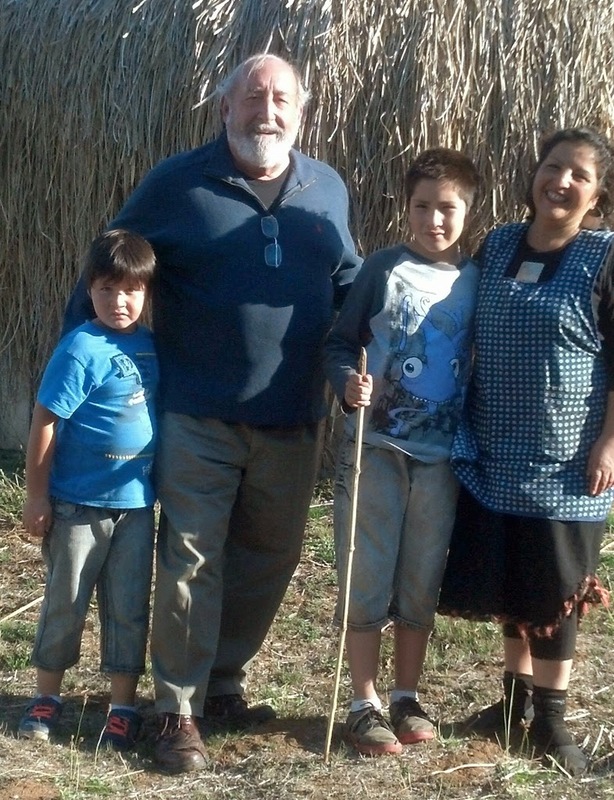 Forced to move to Talca in 1973, and then Santiago five years later in search of work, the family eventually settled into urban life but suffered a mountain of cultural and socioeconomic challenges and eventually a breakup. During the period the Lienqueos lived in Santiago, Luz studied all types of dance, but developed into an accomplished Mapuche dancer, performing in official and private cultural events in hotels and restaurants in the capital city. Her summers, however, she spent back in the El Peral community near Nueva Imperial, where her uncle, Augusto Lienqueo, has a farm. 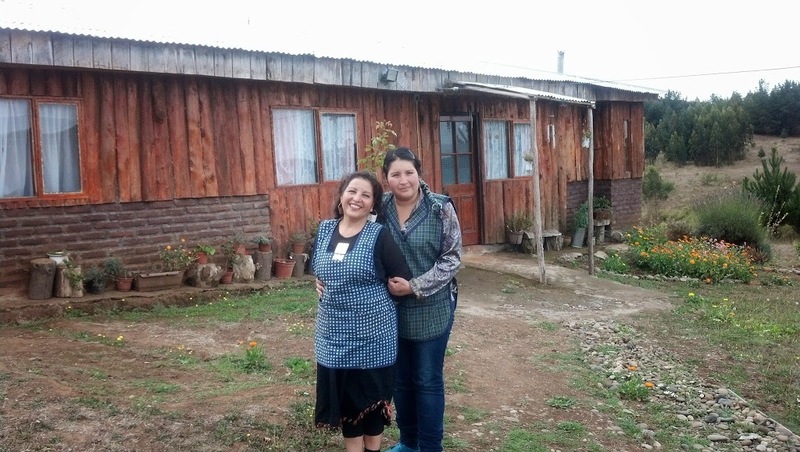 When Luz accepted the dictate of her peuma, she moved directly to her uncle’s home, bought a small piece of property on a nearby hillside, and began to establish her new home. 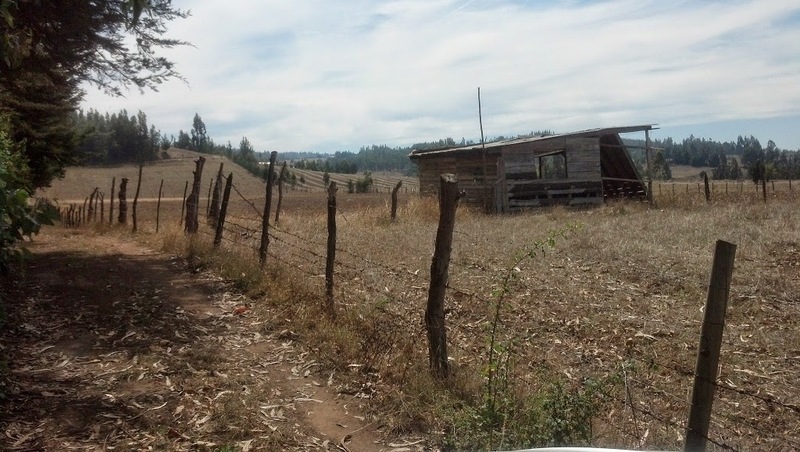 Today Luz has a three-bedroom home, raises pigs and chickens, and has planted a part of her land with eucalyptus trees “for her retirement income”. 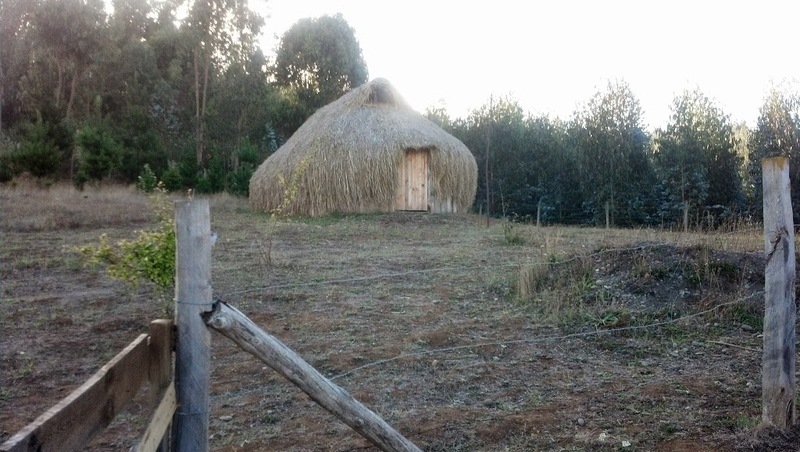 She has also built a most attractive ruka, the grass-roofed building in which the Mapuche used to live, but which now serves mostly for important Mapuche family and community events (I separate family and community by huinca habit, but I don’t think Luz and other Mapuche see the separation as clearly as I). The ruka comes in handy because Luz’s uncle, Augusto, is the Lonko, head of their El Peral community, so many official and social events are held there. One such event was on the occasion of a recent two-day visit my longtime friend Jerry and I made to El Peral and the Lienqueos.I would not have met Luz Lienqueo and her uncle Augusto if it had not been for a serendipitous meeting with one of Luz’s daughters, Onesima, a student at the Universidad Andres Bello in Temuco. One evening this past November, Onesima received a social innovation award in a ceremony in the auditorium of the Andres Bello University in Santiago for her project “Pichi Newen; Rescuing the Mapuche Culture”. That night Onesima, dressed in her colorful Mapuche clothing, gave a moving acceptance speech, in Spanish and her native language Mapudungun, in which she described her project to instill respect, knowledge, and love of Mapuche culture in Mapuche children throughout the Nueva Imperial area. The other award winners were impressive, to be sure, but Onesima exuded a combination of excitement and commitment for her project which piqued my interest to learn more. I searched her out during the following reception, and in response to my many questions about her project, her life, and the Mapuche culture she invited me to visit her in Nueva Imperial and learn more. We kept in touch over the next few months, I back in the US and she back in Nueva Imperial where she lives with her two sons, Piero and Salvador, while attending university.Ximena and I returned to Santiago in February this year, and soon after I received a message from Onesima that she was still counting on my visit, had arranged for the children in her project to provide a demonstration of their work, and that her mother, Luz, wanted to provide us lodging at her home in El Peral. Ximena was not able to join me and my old Peace Corps buddy and erstwhile travelling partner from the US, Flick, was not in Chile, so I coaxed my friend and colleague Gerry, who lives full time with his Chilean wife in Santiago, to accompany me on this visit. It made sense for Gerry to make this visit to Araucanía with me, because when we worked together as Peace Corps staff in Chile in the late 1970s, we placed many Peace Corps Volunteers in Mapuche communities in the area around Nueva Imperial to work in rural health, agriculture, school garden, and artisan projects.Gerry and I met Onesima at midday in the Nueva Imperial central plaza, a beautiful space framed by imposing wooden sculptures in each corner, carved by Mapuche artist Ildefonso Quilempan. 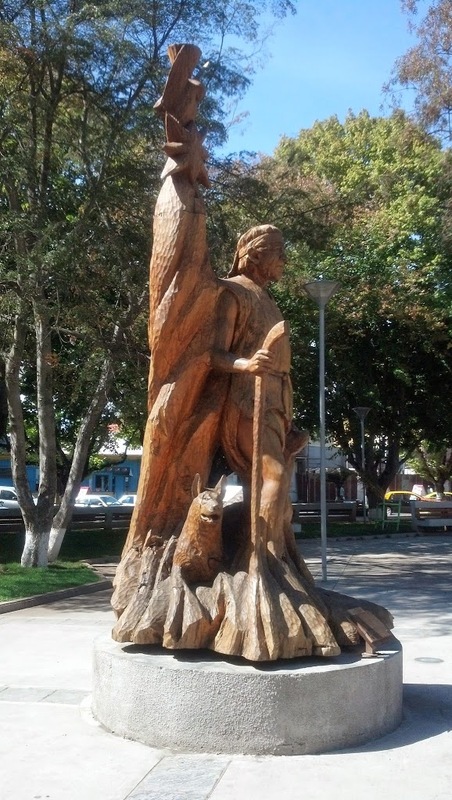 At one corner of the plaza sits the first Mapuche Lonko Juan Luishuenul, and at another a sculpture of the Choike Purrun magical-religious dance. In a third corner is a huge carving of the struggle between the good serpent Tren Tren which protects the land and the Mapuche people, and the bad serpent Kai-Kai filu which represents the fury of the seas when it observes misuse of the land. Mapuche mythology teaches that “way back in time”, the sea serpent Kai-Kai filu rose up and began to flood the land, threatening the entire population with his fury, to punish the Mapuche for misuse of the land resulting in serious imbalance between the seven elements that together make up the biodiversity (Ixofillmogen) of life. 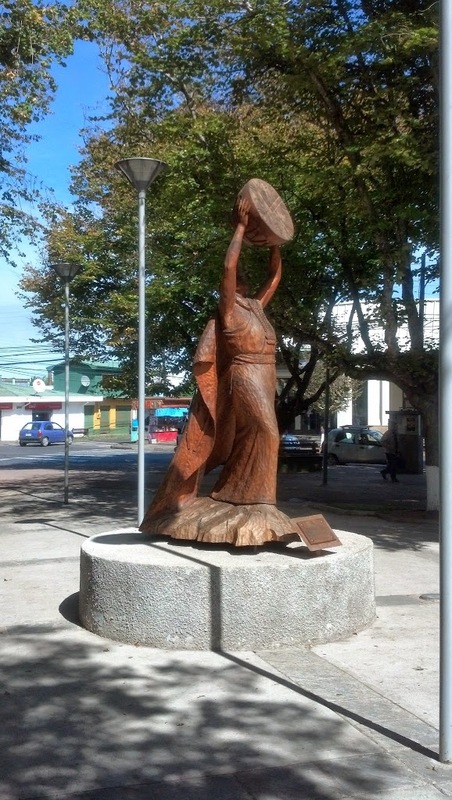 The fourth sculpture in the plaza is of the Domo (first) Mapuche Woman: “Mediator between the ancestors and nature”; an appropriate starting point for our visit to Onesima’s Pichi Newen project.Onesima and her two sons live in an apartment in Nueva Imperial, and visit Onesima’s mother, Luz, on the weekends. 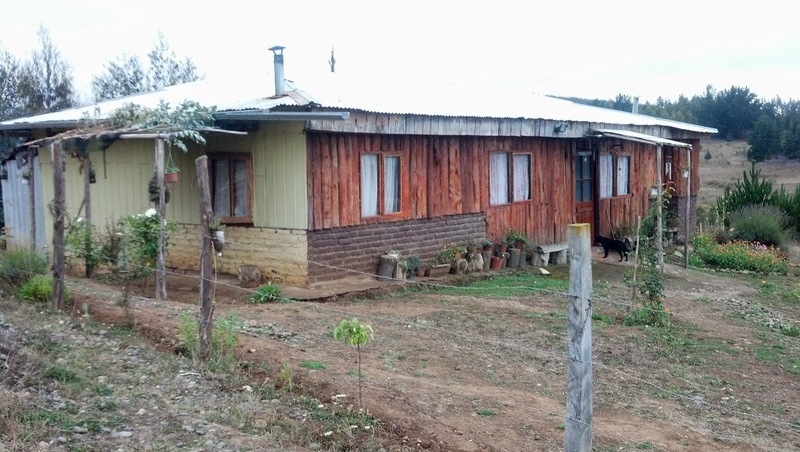 Because of our visit, everyone had arranged to be at Luz’s house in El Peral for the rest of the day and evening. As we drove up the path to Luz’s house, Onesima explained her project. 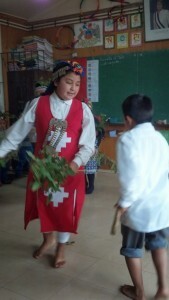 Based upon her mother’s artistic and dance skills, Onesima formed a small group of teachers of dance, art, music, and poetry who visit the primary schools in the region regularly to introduce Mapuche customs to children who, while mostly Mapuche themselves, are not learning their Mapuche language or much about their own culture. The children Onesima and her team work with are usually very reticent at the outset to even show interest in Mapuche culture; in fact many are ashamed to be Mapuche. 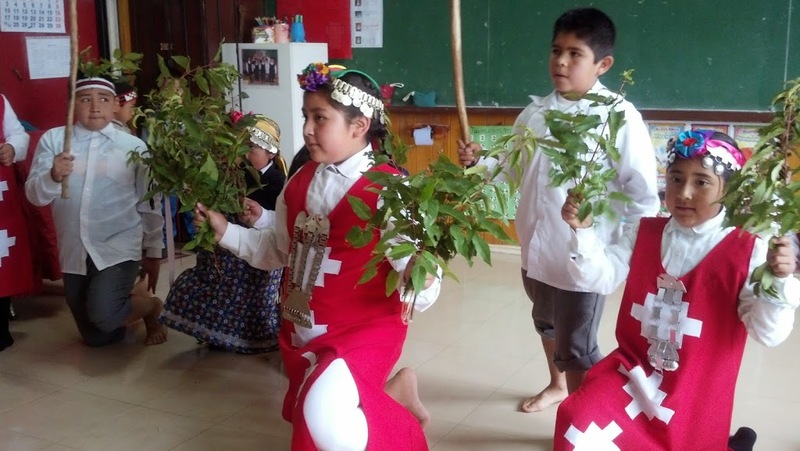 The immediate objective of her project is to reach as many Mapuche children in rural schools as she can, to begin the process of building knowledge of Mapuche culture and pride to be Mapuche. Eighty percent of the comuna of Nueva Imperial are Mapuche, living in 186 indigenous communities divided into 28 territories. 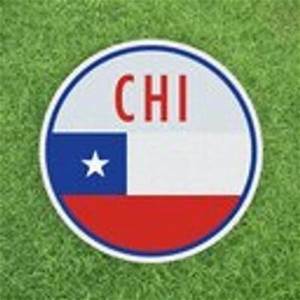 About half of the communities have also obtained legal status within the overlapping Chilean political structure, resulting in the presence of “Presidents” of these officially recognized political units, who in many ways compete with the traditional role of the community lonko. 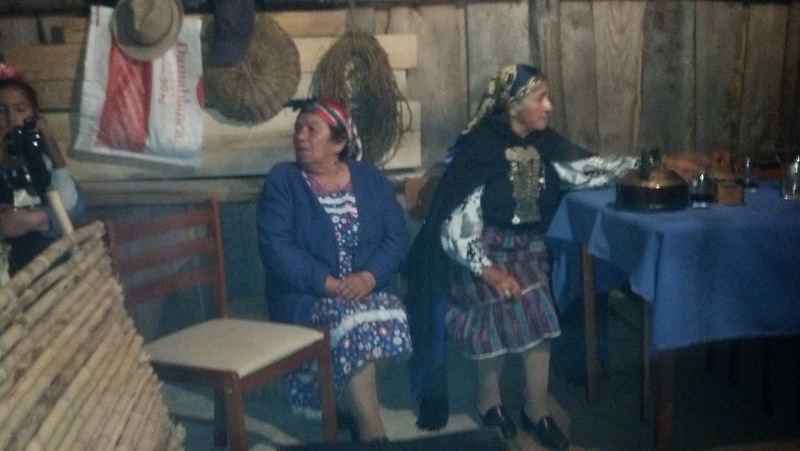 Over time, this dual system is diminishing the ancestral, inherited social structure of the Mapuche. 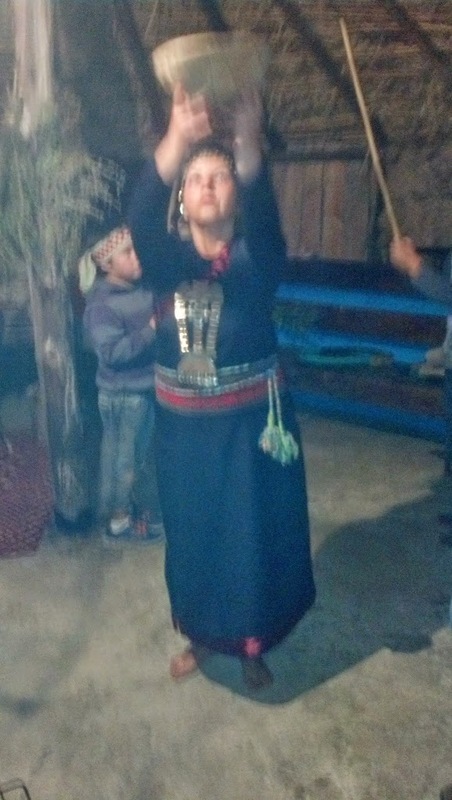 Onesima believes strongly that a comuna such as Nueva Imperial, with this preponderance of Mapuche, should and can reverse the progressive loss of such an important indigenous culture, and she sees her Pichi Newen project as just the first step in a major comuna-wide effort to rescue the Mapuche culture through greater cultural fluency and pride. The award Onesima’s project received at the ceremony late last year was sponsored by the ACCIONJOVEN program, a partnership between the Universidad Andres Bello and the International Youth Foundation’s YouthActionNet, a program helping form young leaders throughout the world. This was the third year a group of young Chileans received awards through this program, so Onesima joins a growing network of two dozen young Chileans and close to a thousand young men and women from eighty countries who are linked together virtually through this very successful international program. Besides a financial award to help Onesima build her program, she received instruction on creating a business plan for her project and other business management skills. And she stays in touch with other members of the YouthActionNet who have similar projects and are experiencing some of the same problems, so she continues to grow and expand her ability to manage a program she hopes to expand in area and over time. 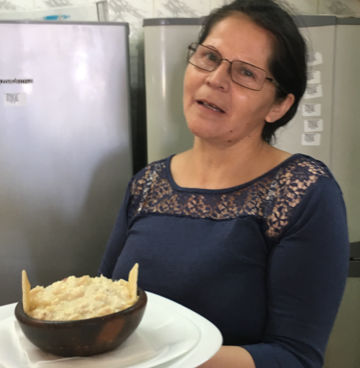 We spent a lovely afternoon sitting around the kitchen table next to a crackling wood burning cook stove, talking with Luz about her life and Onesima about her Pichi Newen project. Later Onesima’s two boys, and Mauricio, a friend of the family who is studying in the university to be a civil engineer, took Gerry and me for a walk along a path into the woods that surround Luz’s property. 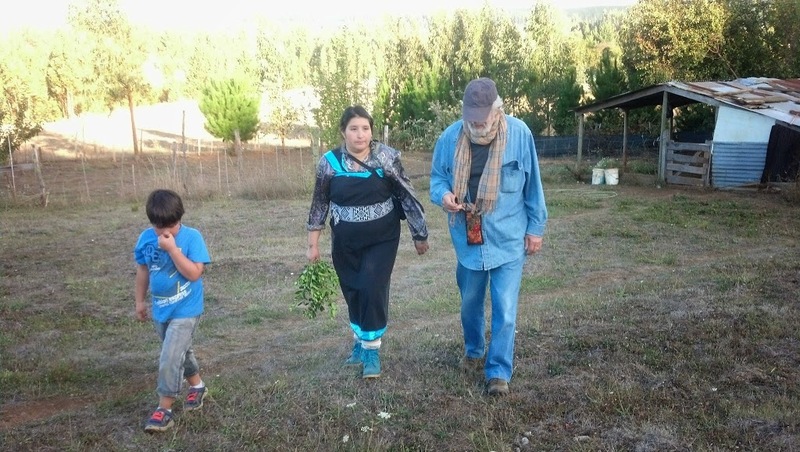 We picked some bittersweet murta berries, gathered a couple of branches of culeo to take home for herb tea, and learned something about the spirits that reside in the Mapuche forest, the nehuenes, who must be consulted before entering the forest and especially before removing any vegetation. Onesima joined us on this walk, and as we passed by a swampy area, she explained that wetlands, the menoco (humedales in Spanish), are critical natural areas for the Mapuche; it is here where the machi, the spiritual leaders of the communities, find the different herbs needed for special ceremonies and cures. The progressive disappearance of these wetlands in Chile is a big problem. 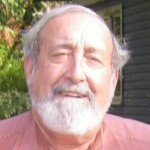 I couldn’t help but reflect that the loss of wetlands in the US is also a problem, but not exactly for the same reason. We had been told that in the evening a group of important people would be arriving for a happening in the ruka, and sure enough by the time the sun went down the ruka was filled with about fifteen or so visitors. We were introduced first to Augusto Lienqueo, Luz’s uncle and lonkoof El Peral, and his wife Carolina Chihuahuan. Augusto offered a drink of delicious chicha, fresh apple cider, from a cup passed around to each person who entered. One of the oldest members of the community, Rosalva, came and accompanied Carolina most of the evening, as did another friend and neighbor, Nimia, who is a volunteer in the Hogar de Cristo’s home for elder members of the community. 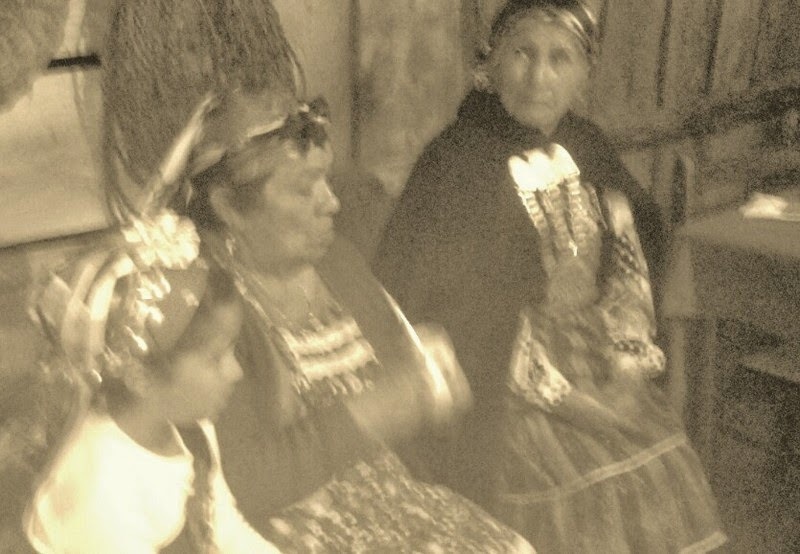 Carla Santos, the huinca wife of Luz’s brother Alberto (who was not there) had been helping set up the ruka while her energetic daughter, Ayelen Lienqueo, played with but mostly teased the older boys, Piero and Salvador, all three dressed with colorful Mapuche clothing. The last to arrive were Juan Constanza, local politician who has been concejal of the comuna for 12 years, and Virginia Garrido, Director of the Hogar de Cristo in Nueva Imperial. Carmen Gloria Toro Chavez, a close friend of Onesima, accomplished guitar player and singer, and also a student in the University, had been with us all day helping to set up the evening’s event. Onesima clearly has innate leadership qualities, and she is serious about taking advantage of the opportunity the ACCIONJOVEN award has given her to obtain more support and resources for her Pichi Newen project. While all the invitees were sitting at a long wooden table along one side of the ruka, waiting for what was obviously going to be a delicious meal of pork, potatoes, and vegetables still being prepared over the wood coals at the center of the ruka, Onesima explained her dream (written up in great detail in a proposal she made available to everyone present) to create a cultural center in or around Nueva Imperial, based on her Pichi Newen project, in which she wants to set up the base for the series of workshops she will make available to all the children in the comuna; dance, painting, theatre, artisan products, and music. Onesima’s pitch was fabulous, and in the smoky din of the center of their most important and spiritual meeting place, you could not help feeling a deep commitment to help her carry out her dream. Never shy about making a speech, but even less so in this precise moment, I expounded on how attractive Onesima’s project had been when I first heard her describe it in Santiago in November, and how much more attractive it becomes the more Onesima develops it, how the simplicity of the approach, the utilization of mostly local talent and materials, all help to bode well for her success. But the most important dimension, I emphasized, is that this project goes straight to the solution to the problems that abound in the World: the children. When I was finished, Juan and Carmen Gloria each exclaimed how interesting the Pichi Newen concept is, and how much assistance they will give Onesima in the future, depending, of course, and the availability of “very scarce resources” in their respective institutions. Onesima claims she has knocked on these doors before, and come up pretty much dry, but the timing for her to obtain significant support now may be right. 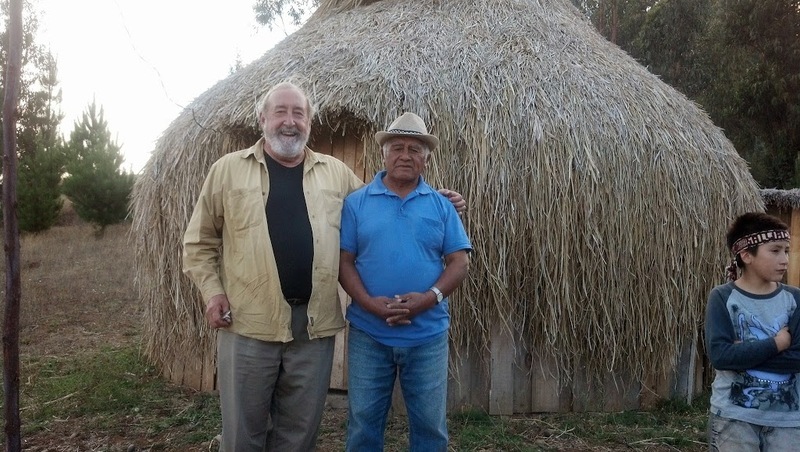 The incoming Bachelet government is certainly desirous of setting a new tone of dialogue and mutual respect between the Chilean government at all levels, and the Mapuche (and other indigenous communities, groups, and nations throughout Chile). Only time will tell, but certainly there will be opportunities in the future, probably even the near term, where Juan in his official capacity, and Carmen Gloria from the relative moral high ground where her institution sits, may very well have a chance to call attention to and support Onesima’s Pichi Newen program. The speeches were finally over, the wine bottle and mate were being shared, and the music was starting. The boys began tapping wooden staffs on the floor, Ayelen began slowly beating a small drum, the kultrun, and someone passed the circular horn, the trutruka to Augusto, and the group grew quiet and expectant. In a crescendo of Mapuche rhythm, Luz began to move around the ruka, long skirts flying behind her, hands held high over her head at times and then again down by her side. Urged on by the increasingly louder and severe blasts of the trutruka, she seemed to fly a bit, and then slink a bit; the combination was a beautiful and enchanting dance, which she continued for a lot longer than one would think possible. No one else danced, and when she was done, I was exhausted. While I can imagine Luz dancing like this in the elegant restaurant of the W Hotel in Santiago to the enjoyment of international tourists and business travelers, this night, in moonlit El Peral, her dance melded so seamlessly with the interior of her ruka that she and the place, as she danced, became one. Any more description would do injustice to Luz’s dance, so I leave it at that. Spiritual. After a good night’s sleep, breakfast in the ruka of warm homemade bread, scrambled fresh eggs gathered from under the hens just minutes before, and steaming coffee heated up over the dwindling coals of last night’s fire, we drove to the nearby municipal school in Catrianche where all twelve students were anxiously awaiting our visit. It was here where we were able to appreciate all Onesima had been explaining to me since our first meeting last November. 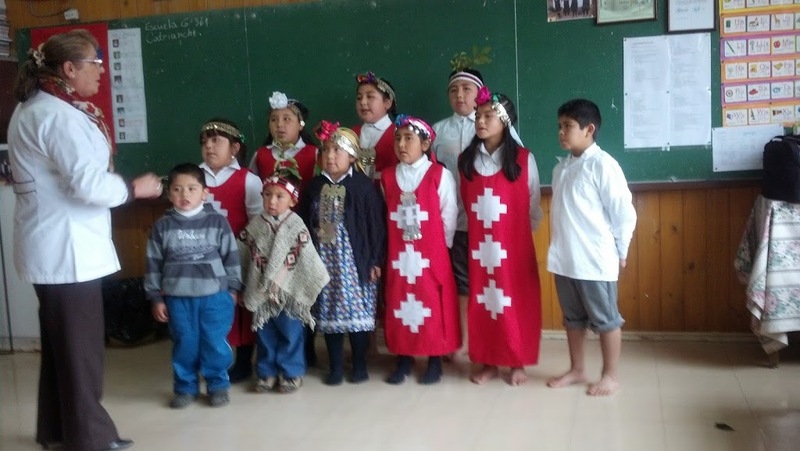 The students, all neatly dressed and sitting quietly at their desks in their one-room school house, greeted us first in Mapuche and then in Spanish. Gerry and I were introduced, and then the children were told to get ready for their performance. They cleared the room of the desks, set up a row of chairs at the back, and went to another room where they quickly changed into the appropriate Mapuche clothing. Yo no quiero que el Mapuche se arrincone en su ruuukaaa..
Y que al son de la trutruca por el mundo vaya el! Nuestra raza de valientes no puede morir ahorrrraaaa……..
Nuestra raza de valientes no puede morir ahorra ! Proyectandose mas allá de sus lugares! These kids, who not too long ago were not interested in projecting their Mapuche heritage or culture, with the patient and caring guidance of Onesima, her mother Luz, their friend Carmen Gloria, and volunteer teachers and artisans were standing in front of a group of visitors happily and with gusto proclaiming through song that they did not want the Mapuche to be cornered in their rukas, but instead that their story be heard throughout the world. Through this song they insist, with double emphasis that their valiant race must not die, must not die. Appropriately, their song ends with a challenge, mostly to themselves, that Mapuche men and women must free themselves of their constraining roots, and reach beyond their present domain. As we were preparing to leave, the kids changed back to their regular street clothes and were beginning to return to their studies. Luz took me aside and introduced me to one of the youngest girls in the group, who was beautifully dressed in full Mapuche regalia. During the songs and dances, she had been one of the most vociferous and active, and I had noticed that the other children seemed to always keep her in the middle of the action. Luz explained that this girl’s two grandmothers were machi, very respected spiritual leaders of their communities, and that this girl is destined to become a machi when her time comes. Since that day, I have not been able to get the picture of that little girl, nor the words of their song, out of my mind. 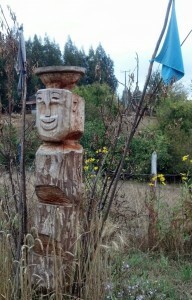 Whether the animist-based culture of the Mapuche, with their belief that you should not take more from the land than you need, that the seven elements of forests, animals, volcanoes, oceans, weather, wetlands, and humans must always be in balance with no one overpowering any other, can live side-by-side, or even within a Chilean society bent on more and more “maximization-based” development. 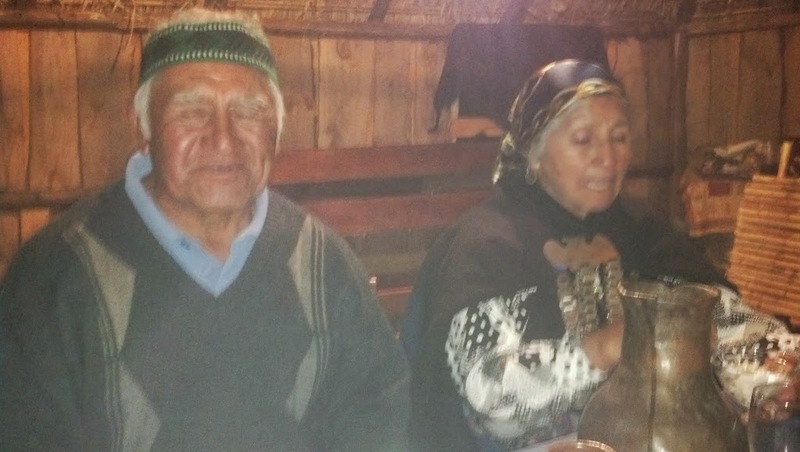 Most non-Mapuche are indifferent, or even antagonistic, to the distinct nature and cultures of the Mapuche and other original native populations in the country. Today’s conflicts over land, rights, services, political representation, and respect are based in yesterday’s policies and development programs, yesterday’s teachings and ignorance. What happens tomorrow will depend on what people learn today. One can only hope that the seed of cultural pride being planted with the Pichi Newen project in Nueva Imperial will grow strong and spread throughout the Chilean Araucanía. 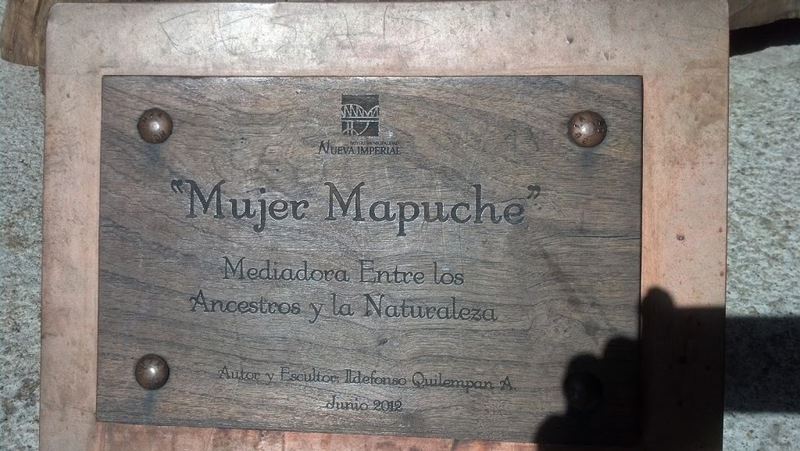 Onesima, Luz, and her team of concerned and talented women are certainly doing their part to create a more peaceful Araucanía, through culturally fluent and proud Mapuche children. Enjoyed this, especially . . . “belief that you should not take more from the land than you need, that the seven elements of forests, animals, volcanos, oceans, weather, wetlands, and humans must always be in balance with no one overpowering any other”. Makes me wonder how these elements gained prominence in their beliefs. Maybe it works best when you have no agenda, other than social interaction…..and learning. I, also, wonder about how the seven elements came to be. Do you have any other stories from their mythology that explain this?